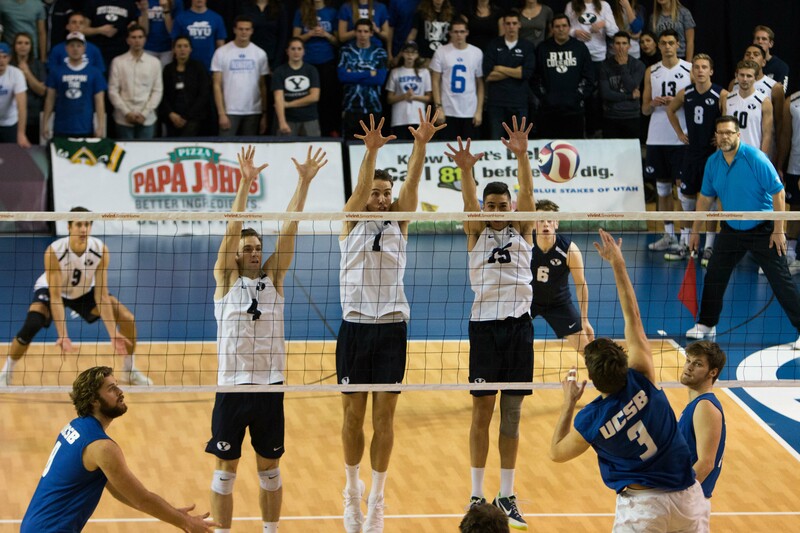 Senior starters Brenden Sander, Leo Durkin and Price Jarman each played their final volleyball match in a BYU uniform last week as they lost to UCLA in the national semifinals in Los Angeles. Disappointment on the national stage isn’t new for this trio, however. 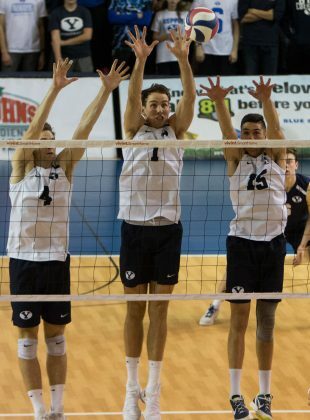 Over the past two years, the three advanced to the national championship and lost to Ohio State both times. 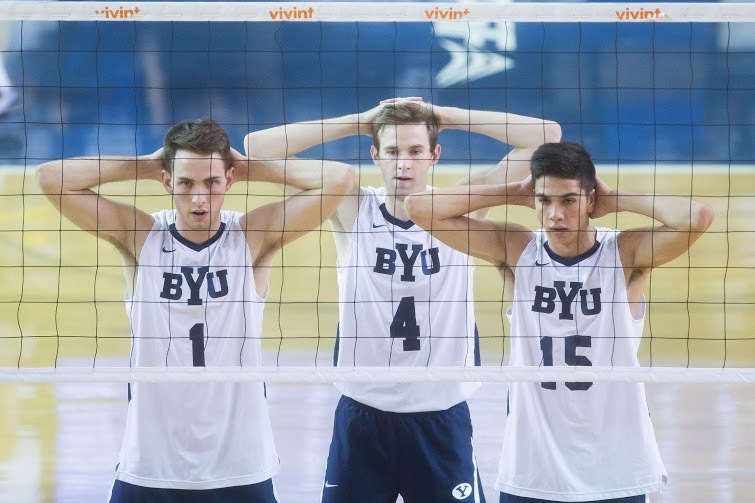 Durkin and Sander, along with coach Shawn Olmstead, struggled to express their emotions in words during the press conference following the Final Four loss. 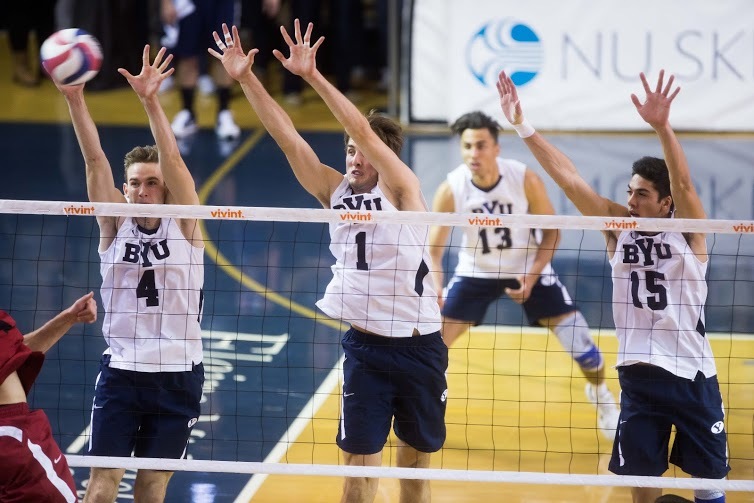 He said he expects to remain close friends with his teammates for years to come, and he expressed gratitude for the lessons he’s learned at BYU. 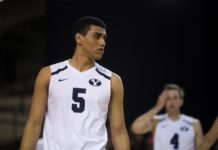 Olmstead said he first met Sander on that same court at UCLA several years earlier when the player’s mother pleaded with Olmstead to convince her son to go to BYU. 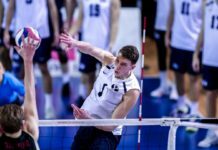 Sander’s older brother, Taylor, also played at BYU and has since gone on to play professionally and for Team USA in the Olympics. Olmstead began coaching the men’s team in 2015, and these three seniors have been an integral part of every squad he has led. 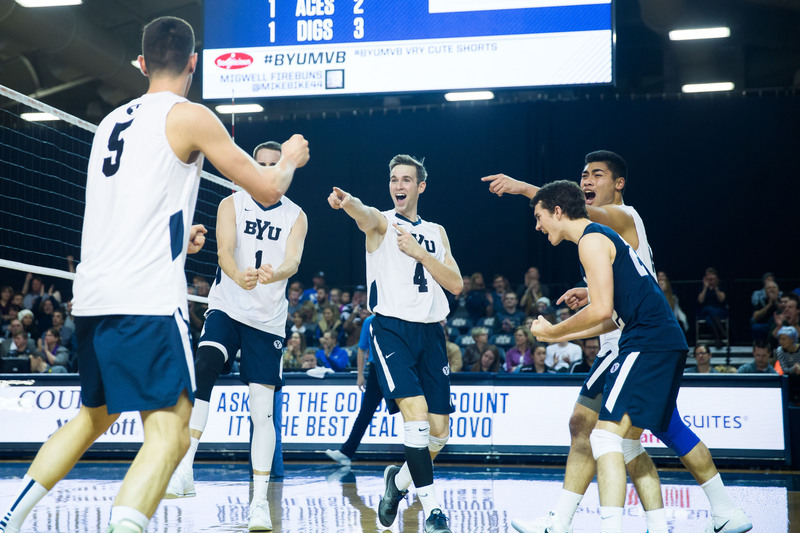 Their departure, along with two assistant coaches leaving for other programs, brings about the end of an era for BYU volleyball. 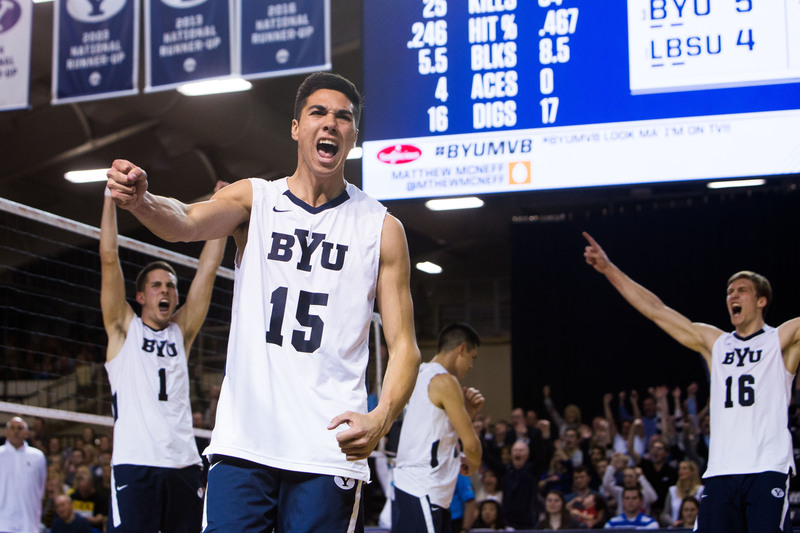 Slabe and Reyes are both alumni of the BYU volleyball program, something Olmstead added doesn’t happen very often in the coaching world. Jarman and Durkin are both from Las Vegas, and they began playing club volleyball together in high school. When Price went down with an injury midway through this season, Olmstead elected to go against common practice and have him continue traveling with the team. 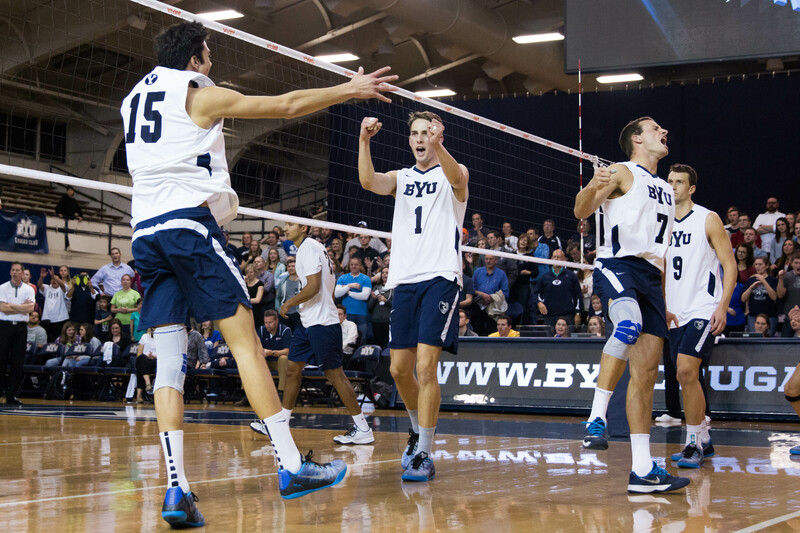 Jarman is consistently the most vocal leader on the team and gets his teammates pumped up after every small victory. 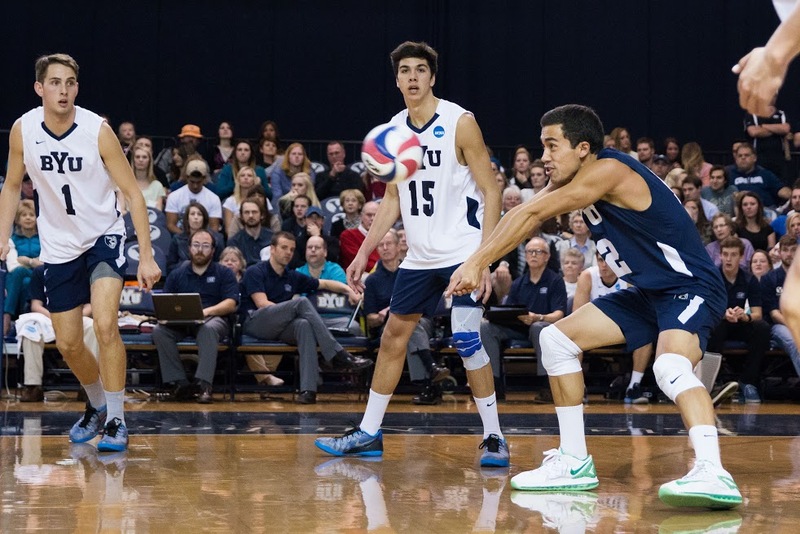 All three seniors earned AVCA All-American honors, with Sander being named First Team and Durkin and Jarman earning Honorable Mention. 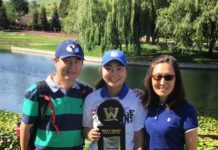 The team falls into good hands with freshmen Gabi Garcia Fernandez, who won National Newcomer of the Year, and Felipe de Brito Ferreira. Both started in the semifinal match and will be a big part of the team going forward.